Make your walks more enjoyable! 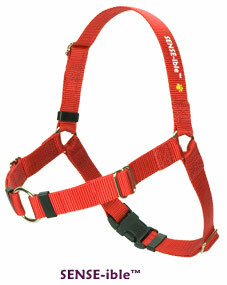 A properly fitted front-clasp harness is great tool for teaching loose-leash walking. It's comfortable for your dog, and so much easier for you. Harnesses are available in black, red, and blue; not all colors are available at all times. 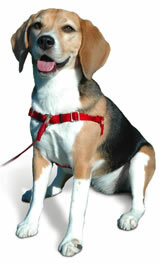 Order your harness online, and we'll help you choose the right size and fit next time your dog comes to class. Ensuring a proper fit can be tricky. We'll be happy to help.